The calendar for 2019 is ready. It’s luxurious, size 33x48cm, 13 pages, with a hard back. There are 12 beautiful pictures of houses from Stefanovo. The months are written in Bulgarian and Old Bulgarian and there is a traditional Bulgarian proverb on each page. It is a great gift. 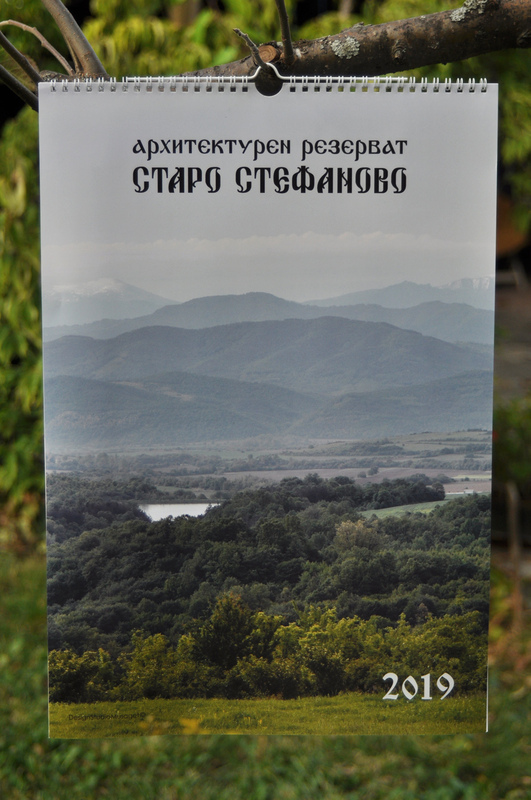 You can order it by phone 00359 879 04 39 59 or e-mail at: info@starostefanovo.com. This site does not collect personal information. Този сайт не събира лични данни.